One of the world’s largest intact forest ecosystems is located right here in Manitoba. Stretching across our province and beyond, the boreal forest is made up of trees and other vegetation, freshwater lakes and streams, and wetlands – primarily peatlands, a type of wetland that contains rich organic soil. Human settlement in the boreal forest surrounding Lake Winnipeg can be traced back approximately 8,000 years to the ancestral beginnings of Canada’s First Nations (Lake Winnipeg Stewardship Board, 2006). Today, Indigenous and non-Indigenous people alike live in the region, relying on it for hunting, fishing, trapping, the collection of medicine, and jobs in forestry, mining and other industries. The boreal forest supports a wide range of wildlife – from migratory birds that pass through each year to endangered caribou whose continued survival depends on it as habitat. Canada’s boreal forest offers many ecological services; it naturally purifies the water that ends up in our lakes – including approximately two-thirds of the water that flows into Lake Winnipeg (Ducks Unlimited Canada) – and it stores more carbon than the jungles of the Amazon (Boreal Songbird Initiative), making it a valuable climate-change mitigation tool. Manitoba’s boreal forest is largely untouched and generally healthy; its significant ecological value depends on it staying that way. Unchecked development – whether for forestry, mining, agriculture or other industries – will forever alter the critical functions the boreal forest currently performs naturally. Economic pursuits must therefore be carefully balanced with responsible stewardship. Planning now for the long-term health and sustainability of the boreal forest is one of the best ways to restore and protect the health of Lake Winnipeg. Action 2 of the Lake Winnipeg Health Plan, Conserving the Boreal Forest, supports the Boreal Forest Conservation Framework, which recommends the preservation of at least 50 per cent of Canada’s boreal forest in a network of large, interconnected protected areas, and would require any future development in the remaining landscape to be done using thoughtful land-use planning and sustainable resource-management practices. 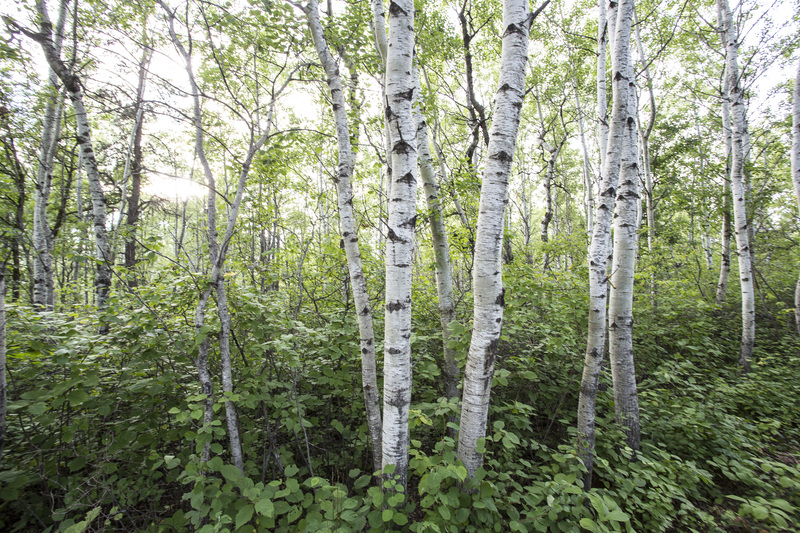 For further reading on the importance of Manitoba's boreal forest, click here. This educational supplement ("A Living Landscape") was published in the Winnipeg Free Press in spring, 2014.